We specialize in the most popular pinballs from Bally, Williams, Data East, and Stern. We are in the process of purchasing and totally re-conditioning some of the classic games from 1980's-present so you can enjoy going back in time and playing these games on our route. Of coarse, we will also buy some brand new titles also for select locations. We try and maintain our pinballs at a high level, and each game is returned to the shop annually for a thorough cleaning and overhaul. All our pinballs are set to 5 balls per game, 50 cents per play or 3 play per dollar cause we still believe in that. We now offer service and repair of "SELECT" home games by appointment only. We only repair games in the home if we discuss the game and problem with you over the phone first. Only games that we feel comfortable repairing will be attempted. Game must be local, and appointment must be schelduled prior to our visit. A minimum charge of $75 will be applied to any home visit to cover time and travel. We also buy parts machines. We often restore and sell used pinballs for home use, so visit our Home Sales section to learn about pinballs for your gameroom. 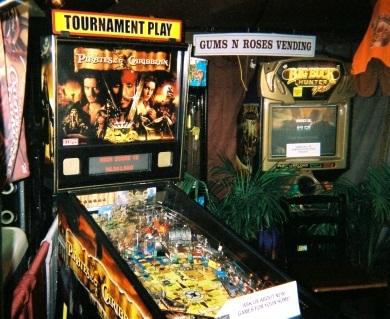 Additionally, we offer refurbish of your existing pinball. 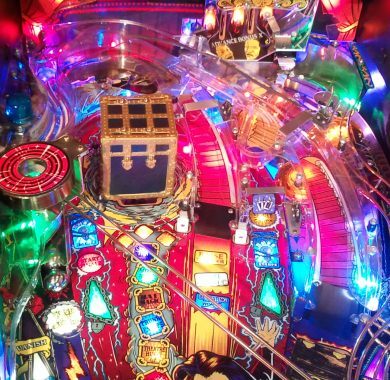 We can strip down your game, clean all the parts, repair anything that is broken, and even install super brite LED bulbs to give you the look and feel of a brand new game when it is returned to you. This service is done in our shop. You can either bring your game to us, or we can come and pick it up. Please email us for more details. We do not offer this service for Gottlieb solid state games. 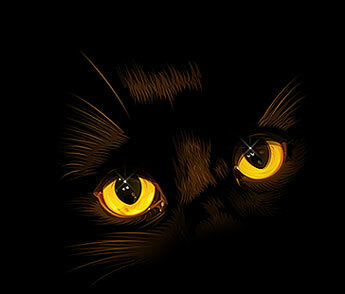 You can see examples of our work by Clicking HERE. We never took photos in the past, but will in the future on all restorations, so only a few titles are shown in the photos.